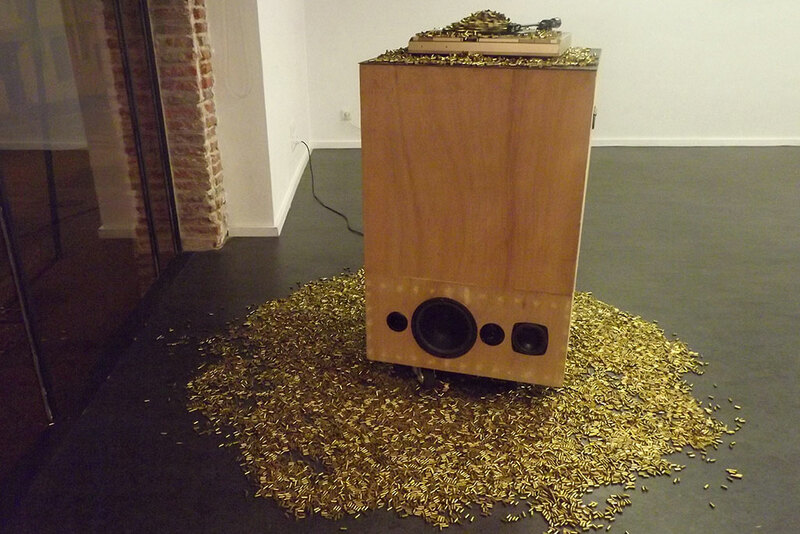 Sound installation, dimensions : 90cm x 63cm x 61cm, 2010. 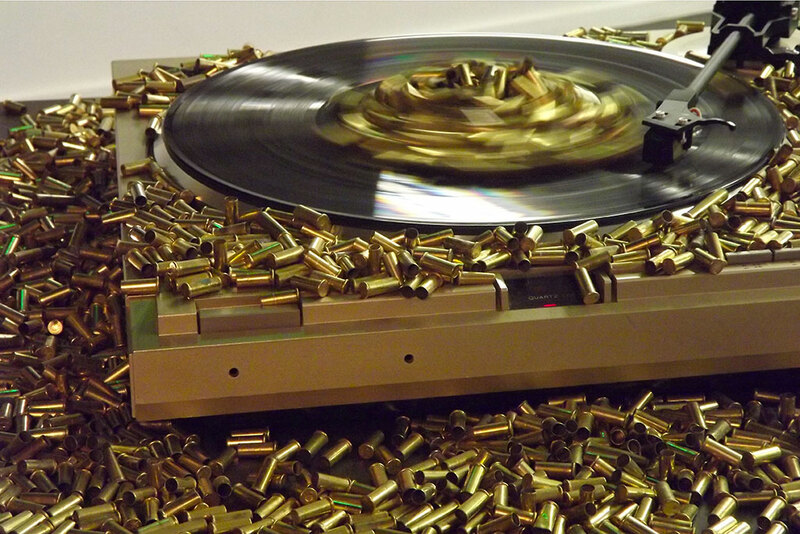 Wooden structure carrying a sound system, loaded and unloaded 22 long rifle bullets, vinyl record, steel, contact mics. Coming from the free-party movement, I designed Bootleg like a mobile and lo-fi sound system. 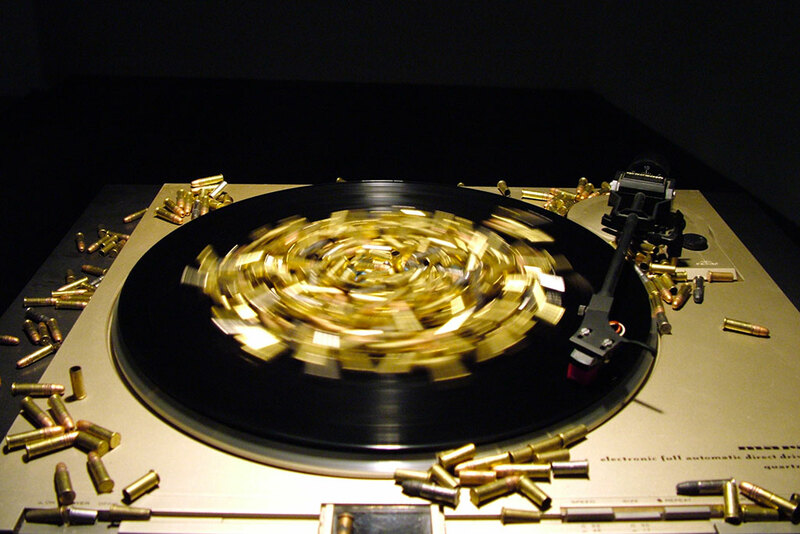 The wooden structure is mounted on wheels and contains the sound device : amplifier, loud speakers, mixing deck and contact mics, on this is mounted a record player on which is a pile of 22 long rifle bullet sockets. 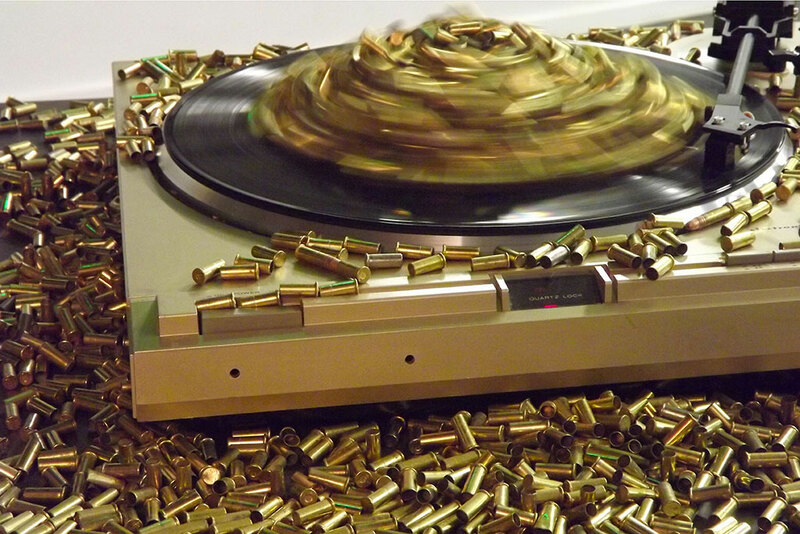 The title of this reloadable sonic sculpture takes reference from a hybrid genre of music that uses the instrumental part of an existing tune and mixes it with the vocal part of another. 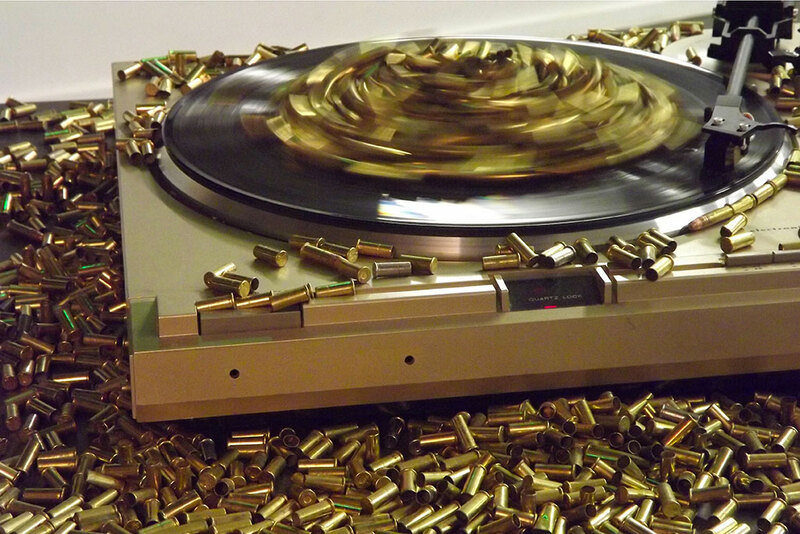 In this case, the bullet sockets overlay, modify, or deflect the rigorous composition of Bach’s Goldberg Variations. This set is build from the two same elements, holding a multitude of different variations. The viewer is invited to reload the device as they wish.